We time. We coach. We run. Bullseye Running uses state of the art technology to time road races, cross country events, and track and field meets. We believe in fast and accurate track meets. Hire our experienced crew to manage the finish line. We use FinishLynx and HyTek for Fully Automatic Timing (F.A.T.) and know how to keep your meet on schedule. Rain or shine, Bullseye Running is ready to track the 1/2 inch spikes as they cross the line. Be it middle school, high school, or college, we’ve got the tools to help you run a successful regular season or championship meet. 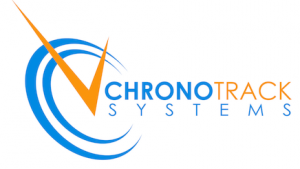 Bullseye Running is a licensed Chronotrack timing company and can provide both chip and tear-tag timing. We have worked with many schools, charities, and organizations, and always provide fast and accurate results. Live results, registration services, and split timing available upon request. Throughout Maryland, we provide training and experience for kids ages 5 – 13. Check out our programs below. Competitive and non-competitive programs year round including Winter training, indoor track & field, outdoor track & field, XC Summer training and Fall XC for school age runners from 5 to 21. Beginners, experienced, just looking for a fitness program or looking to compete for a Junior Olympic National Championship, fast, slow, boys and girls – all are welcome! Over 25 coaches involved each year with approximately 500 different kids. A Spring track & field program and a Fall XC program for kids from 7 to 14 with practices at Allegany College of Maryland led by Coach Justin Taylor. A Fall cross-country program in Anne Arundel County for kids from 9 to 14 that are looking to compete in meets on the weekends. Practices are at Annapolis Area Christian School two evenings a week led by Coaches Ed Harte and Jason Cox. A competitive Fall cross-country program with practices in the Springdale/Oakdale area led by Coach Brian Dempsey for kids from 7-14.